Calhoun Falls was founded in 1891 at the junction where the Savannah Valley Railroad met the Georgia, Carolina and Northern Railroad. As the railroad town grew, local businesses prospered, and a group of investors from nearby Anderson began planning a textile mill. As a result, the Calhoun Mills Company formed just after the turn of the twentieth century. 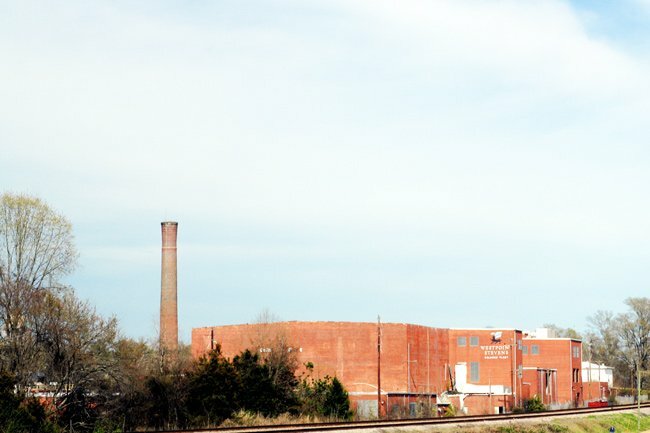 With support from Williamston textile manufacturer J. P. Gossett, Calhoun Mills began production in 1909, surrounded by a vibrant mill village. After the mill opened, the town grew exponentially with people moving to Calhoun Falls to work at the textile plant. The mill village added a school, a library, and a gymnasium which also served as a community center. Over the subsequent decades, the mill changed ownership a few times; it was most recently owned by the WestPoint Stevens Manufacturing Company. However, in 2006 the Calhoun Falls plant closed, eliminating 400 jobs in the community.